A-Roy Thai Restaurant in Novena is always full of customers and for good reason, the food is delicious and this humble establishment is one of the best cheap Thai eateries in Singapore. 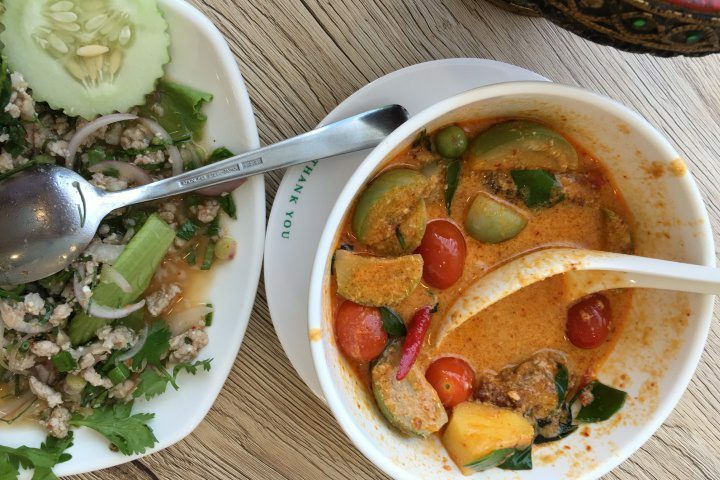 It can be difficult to find delicious and reasonably priced Thai food here, which is surprising given its geographic proximity to Thailand. 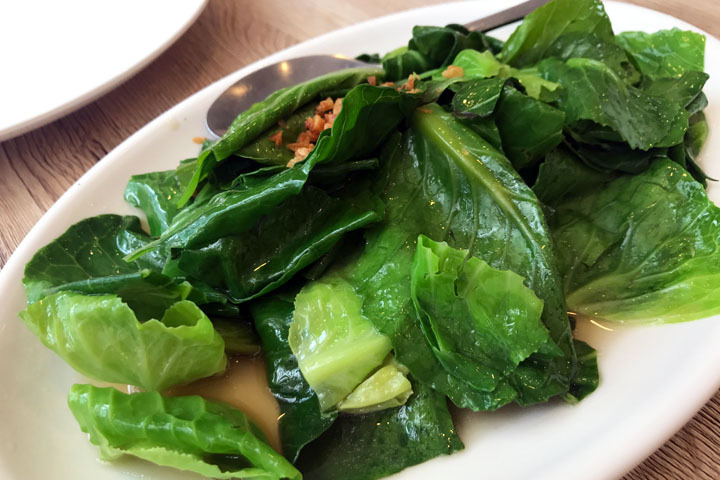 In Singapore, many Thai restaurants compromise on fresh ingredients to reduce prices otherwise the recipes are not authentic and heavily influenced by Chinese cuisine. 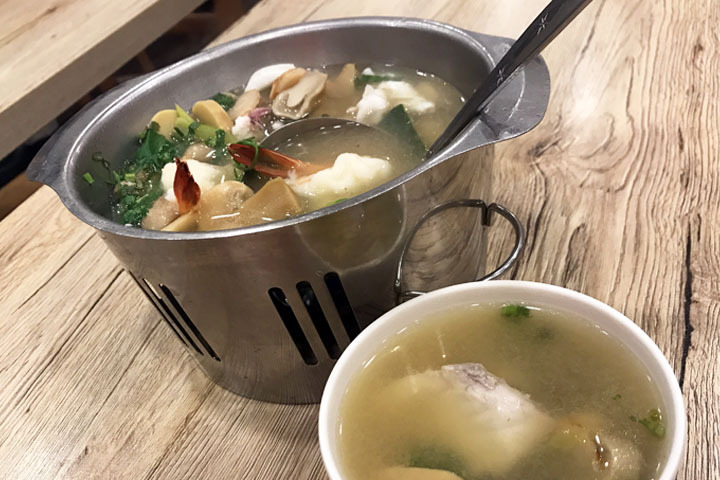 A-Roy Thai restaurant in Novena stands out because you can taste the food is freshly prepared and only good quality meat, fish and produce are used. Whilst the recipes are not always authentic, they are close enough and the service is above average by Singapore standards. The key reason why I keep coming back to A-Roy Thai Restaurant in Novena is for their coconut milkshakes. These shakes are creamy heaven in a glass, made from blended coconut ice cream and coconut milk. These milkshakes are a must for any coconut-lover and they are the standout menu item at A-Roy Thai Restaurant. 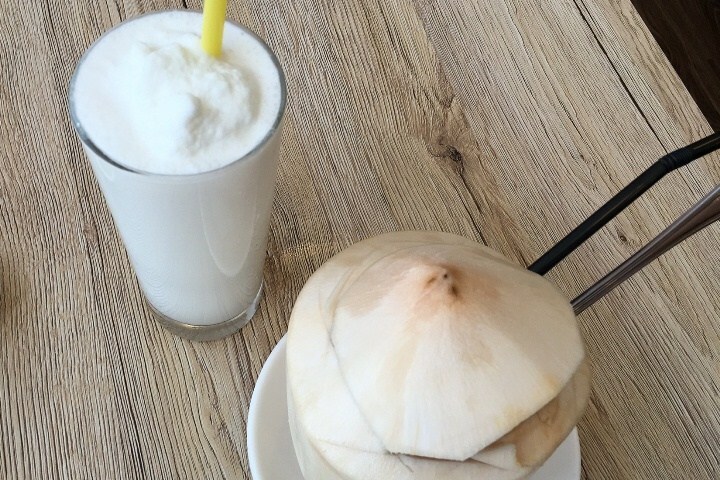 Could this be the best coconut milkshake in Singapore? Milkshakes aside, the specialty of A-Roy Thai Restaurant in Novena are their Thai curries. They do curries exceptionally well and serve green, red, yellow as well as mussaman curry recipes. The quality of the meat and seafood is consistently good, and their curry dishes are rich and filling. The Thai red curry with roasted duck is my favourite, because it comes with big chunks of pineapple, cherry tomatoes and Thai eggplant, which does not taste bitter as can sometimes be the case with the small, round eggplant varieties. The red curry soup base is highly aromatic, served with a generous portion of roasted duck. 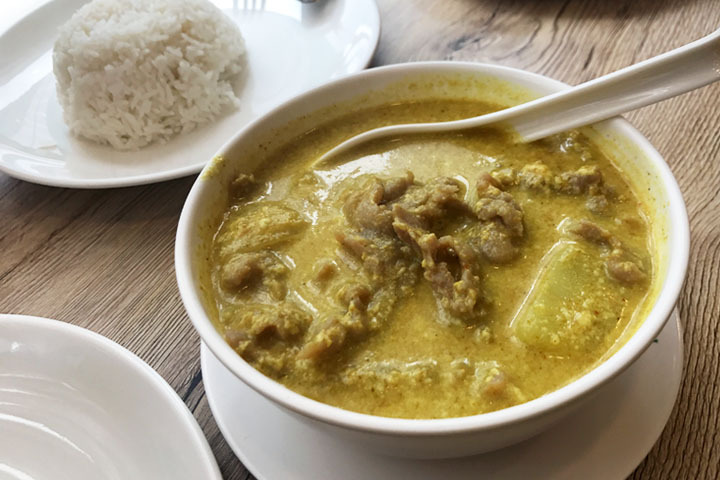 I am also a big fan of their yellow curry with pork, which comes with big pieces of potato. When it is served with rice, the nutty and mild curry flavour is particularly warming and satisfies the most ravenous hunger. The downfall A-Roy is that it caters mostly to Chinese customers and as result, many dishes are more influenced by Chinese cuisine than Thai. The noodle section of their menu perfectly demonstrates this, as they serve Kway Teaw, a Chinese classic, dressed up with Tom Yum flavour or peanuts to give it an unauthentic Thai twist. 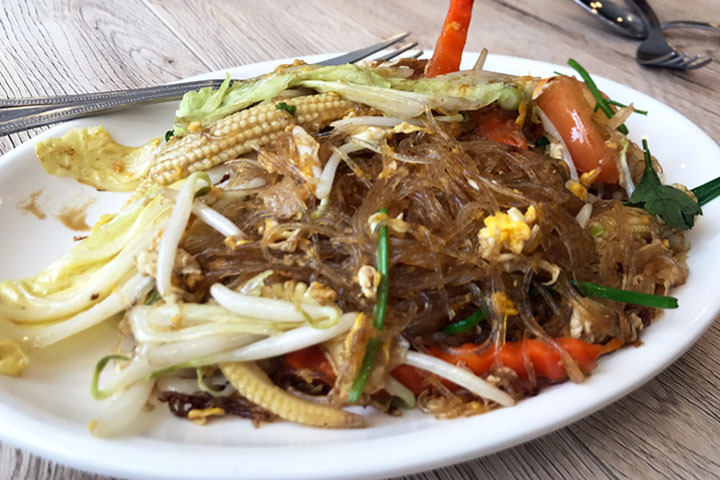 I have previously tried their Pad Woon Sen, which are vermicelli noodles stir-fried with egg and vegetables. Whilst they tasted amazing (I could easily gobble up a whole plate on my own), they also tasted distinctly Chinese. Must be all that soy sauce! 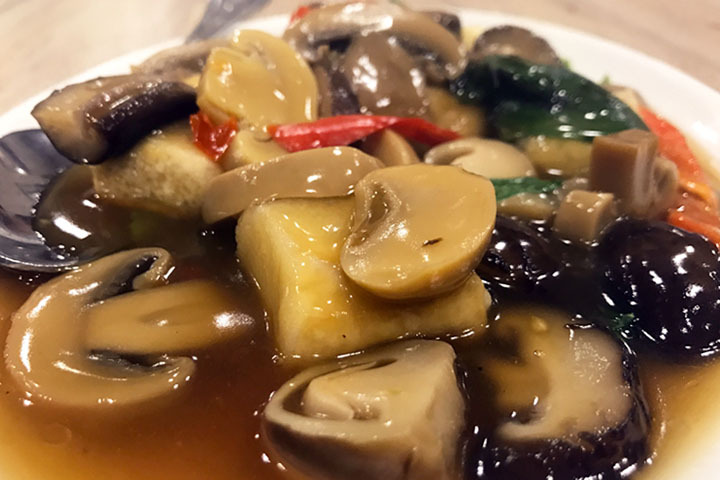 The vegetable section also looks like a page out of a Chinese menu, with classics such as deep fried tofu served with champignon mushrooms as well as stir fried Chinese greens with oyster sauce. However the best way judge a Thai restaurant is by its Tom Yum soup. For those who do not know, Tom Yum is a sweet and sour soup originating in Laos and Thailand. It is seasoned with lemongrass, ginger, galangal, kaffir lime and special chillies unique to Southeast Asia, and is usually served with fresh seafood such as prawns and fish. Traditionally, Tom Yum is a clear broth soup however many modern restaurants add red chilli and tomato to produce a red and orange hue. The Tom Yum soup at A-Roy Thai Restaurant in Novena is clear in colour and has a very pleasant lemongrass aroma and strong spicy kick. Big tick. However it is full of champignon mushrooms and too much ginger. Whilst it is very tasty, it could probably do with more fish and prawns as well. To summarise, it is not authentic but close enough. Lastly, the service at A-Roy is above average for Singapore but not exceptional as it is missing a personal touch. I have frequented this restaurant at least 5 times yet they never remember me. 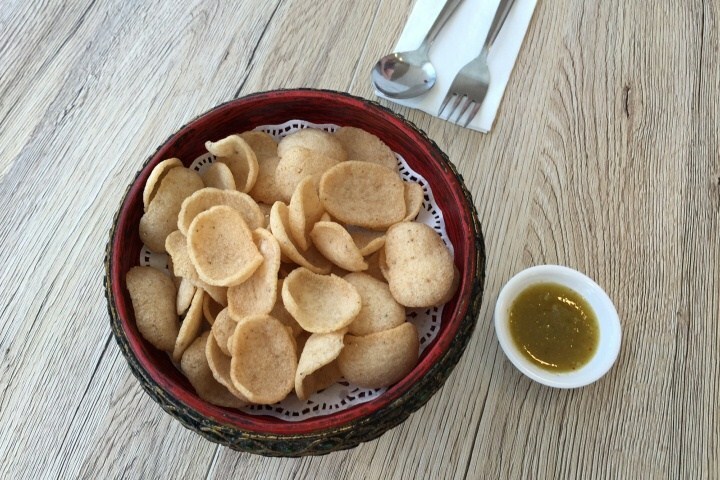 Serving staff are supposed to provide complimentary Thai crackers with lime sauce for the table on arrival, but I have observed they only serve this to customers they ‘like the look of’. When I dined here with my mum, we received the complimentary crackers. When I dined here with a friend dressed in sporty clothes, we did not receive them. There was one specific incident recently that resulted in me having even less esteem for the serving staff at A-Roy Thai Restaurant. I ordered a coconut milkshake and as soon as it arrived, I accidentally spilled it all over the table. Nobody offered me a replacement milkshake or sympathised with my clumsiness, and the experience really shattered me. A-Roy have an extensive menu which has something to suit all appetites and desires, but it is also their downfall. Rather than choosing to do a few, authentic Thai recipes well they offer too much variety which results in a lot of Chinese influenced recipes. I definitely recommend aa visit to A-Roy Thai Restaurant in Novena, but go there for the coconut milkshakes and Thai curries only.